Back Row (left to right): Herman Hale,?, ?, Virgil Fryman, ?, Harold Mullins, Mason Pope, ? ; Front Row: Ben Hord, ?, ?, Zelda Hale, ?, Herschel McKinley, ?, T.E. McDonough (coach). 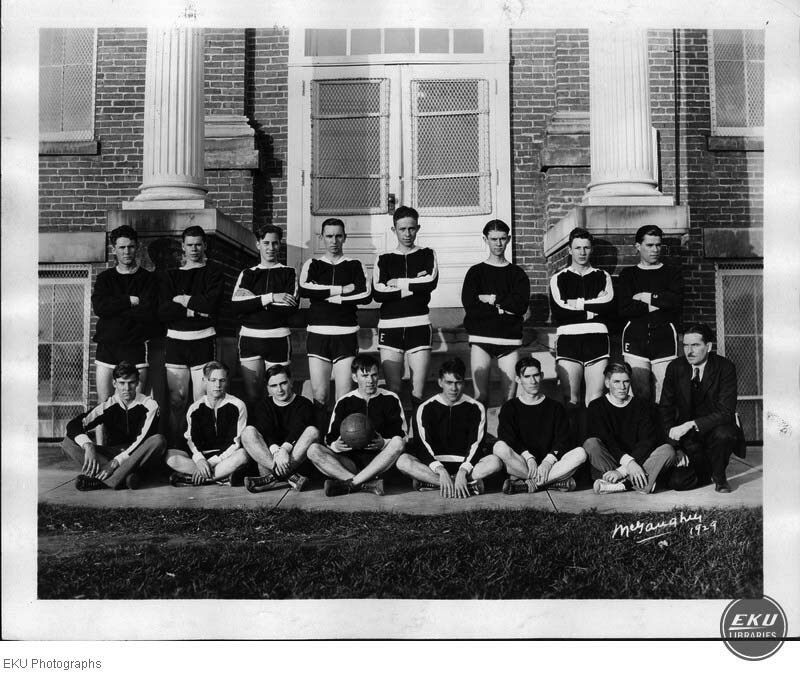 McGaughey, S.J., “Eastern 1929 Intramural Men's Soccer Team,” Digital Collections, accessed April 23, 2019, https://digitalcollections.eku.edu/items/show/32785.